Check here for Ferry Sailing times! Visit the Orcas Island Community Calendar. Orcas Public Library Need a good read? We got ’em – Come get ’em. Orcas Center Providing Orcas Islanders with artistic and cultural experiences that feed their hearts, souls and minds. Deer Harbor Charters Enjoy an unforgettable, informative and narrated cruise through the San Juan Islands in search of Orcas (Killer Whales) and Minke Whales. Orcas Island Skate Park Visit the skateorcas.org website. Support the local kids and skaters. 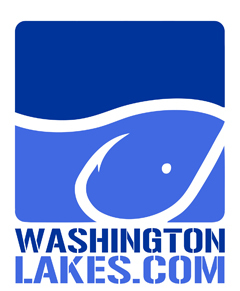 Orcas Today – What’s Happening Keeping you up to date with what’s happening on Orcas Island! Plan your day, with Orcas Today! Smith and Speed is an alternative general store; a place to consciously choose products that are less harmful to us, our home, and our land. An old fashioned store for today’s urban farmers. 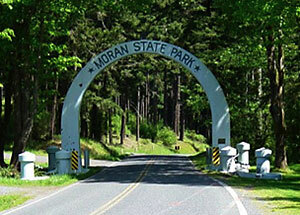 Moran State Park In Moran State Park you can enjoy picnicking, camping, swimming, hiking and nature trails, a boat launch, fishing and an environmental learning center. Moran State Park has over 30 miles of foot trails. WildLife Cycles Full-service independent bike shop in Eastsound, Orcas Island. Offering bike rentals, professional repairs and bike maintenance, and sales of new and demo bikes. Island biking information. rural health center providing access to primary healthcare and related medical services. OrcasIsle.com The best Orcas Island Information Available! Friends of Moran State Park The Friends of Moran State park is a non-profit 501(c)3 organization. Volunteer efforts are required for ongoing park projects such as the annual Tower maintenance, spring clean up, interpretive programs, etc. Orcas Island Webcams There are various webcams on Orcas Island. Have fun looking! 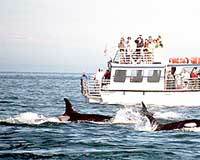 Orcas Island Eclipse Charters Fun and educational Whale Watching Tours. From the Orcas Ferry landing. 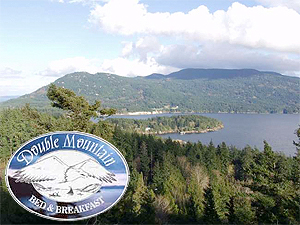 Double Mountain B & B Nestled atop a secluded crest on Double Mountain, you’ll have the most breathtaking view on Orcas Island, at your doorstep. Proud member of the Northwest Multiple Listing Service Cherie L. Lindholm Real Estate is a proud member of this MLS. Outer Island Expeditions Experience an unforgettable marine adventure of a lifetime on the newest, fastest boats in the San Juan Islands! See Orcas, Humpbacks, Minkes, Gray Whales, eagles, seals, lighthouses, and the natural beauty of the islands. We also offer fishing charters, kayaking, custom private trips, and so much more. Islands Sounder Orcas Island’s Newspaper covering all the San Juan Islands. experience sea kayaking at it’s best! for more links to island information. Orcas Island Chamber Music Festival Presenting an annual Chamber Music Festival dedicated to the highest standards of musical excellence, brought to life through visionary, creative and innovative programming and through Festival related events during the year.